Today, many digital companies deal with a huge amount of data that informs their business decisions. Ecommerce services need to process data about a great number of orders to offer their customers products they’re likely to buy. Marketing companies and marketing departments need to analyze the behavior of their website visitors to personalize their emails. Video hosting platforms like YouTube have to learn from their users’ preferences to deliver relevant content. To create value for users (the output), digital businesses need to cope with a huge amount of user data (the input). In other words, they need to apply algorithms. According to Gartner's recent research, algorithmic businesses are a fast-growing trend. This new market is quickly spreading, so we might soon say ‘there's an algorithm for that’ just as we used to say ‘there’s an app for that.’ And today, you don’t need to be an expert in semantics or facial recognition to use them in your business – you only need to find the right algorithm that does all the work for you. Let’s consider why algorithms are being integrated into digital businesses across the board and, in fact, creating new markets. What are algorithms and what is the ‘algorithm economy’? Algorithms are nothing new. But as technologies have developed, their usage has become more affordable and thus almost ubiquitous. Google, Yahoo, and Bing use algorithms to provide relevant search results. 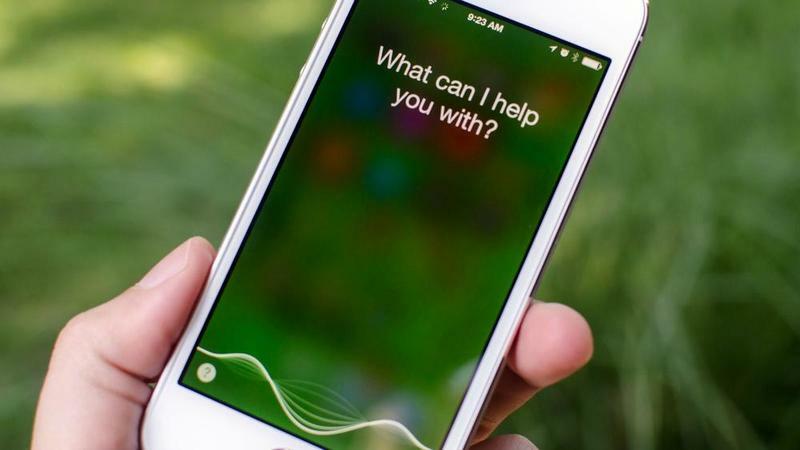 Apple uses algorithms to make Siri recognize speech. Facebook uses algorithms to build your news feed. And there are tons of other spheres where algorithms are already used. Even your favorite cake recipe is, in fact, an algorithm. Since an algorithm, in a nutshell, is a step-by-step set of operations, how is it different from a list of ingredients and a recipe for putting them together? The algorithm economy in business isn’t about selling smarter apps. It’s about selling tools that enable developers to make their apps smarter. It's about a new stage of innovation where developers can monetize their best practices and know-how. Algorithms have already found their way into a variety of business spheres. From healthcare to education, X to Y – any business can benefit from algorithms. The main reason why algorithms have become so widely used is the development of machine learning and artificial intelligence. These technologies make the use of algorithms more accessible to the majority of businesses because of their own increased accessibility. An equally important factor in the rise of algorithms is the emergence of marketplaces for algorithms. One of the brightest examples of algorithms marketplaces is Algorithmia. 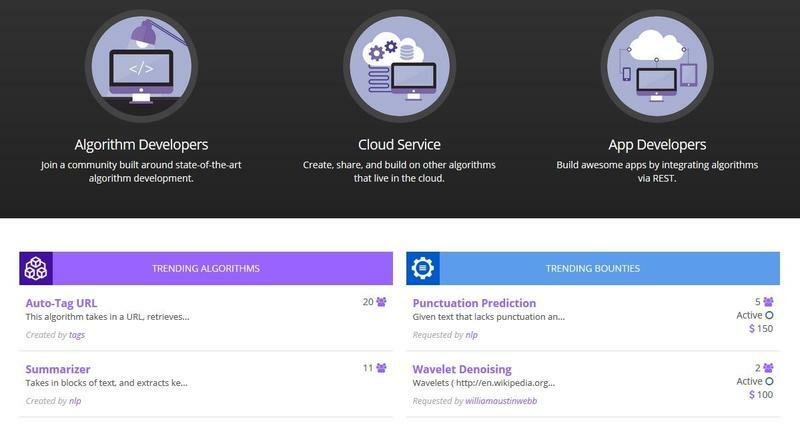 Algorithmia provides access to different algorithms through an API, letting algorithm developers monetize their inventions while offering app developers an easy way to make their apps better. With the emergence of services like Algorithmia, you no longer need to be a brilliant mathematician or a superstar developer to be able to take an algorithmic approach to your business. You can develop an app using a desired algorithm in just a few simple steps. Your code can be written in any programming language and then integrated with the needed algorithm through a single API, which reduces the time for development, testing, and scaling. How does the algorithm economy benefit technology companies? As we’ve said, algorithms enable innovation in various business spheres. Let’s take a look at what they can do. Perhaps the ‘Internet of Things’ is the sphere where the influence of the algorithms is most obvious. According to Gartner, by 2020 150 new devices will be connected to the internet every second. And each of these devices will generate huge amounts of data that will be processed by algorithms. Think about home repair, for example. With algorithms, we might get to the point where our house tells us what needs to be fixed when it needs to be fixed, and who we can hire to do the work. Algorithms.io is one of the most frequently used service for IoT field. With services like Algorithms.io, it’s now possible to turn raw streams of data from connected devices into actionable events that help, for example, to build hybrid infrastructure or create visualizations. Machine learning isn’t an easy-to-implement technology. That’s exactly why Algorithms.io decided to create their service. They make machine learning accessible for almost any company through a set of APIs that can collect data from devices or sensors and transform it into intelligent output. But Algorithms.io can be also used in manufacturing and healthcare. The use of algorithms in medicine helps us diagnose diseases more quickly and increase the efficiency of prescribed drugs. Remember Gregory House? In each episode, House and his team had to identify which disease their patient was suffering from. They made mistaken diagnoses – before finding the right treatment – in nearly every episode. These mistaken diagnoses make the show interesting, but in real life, they could cost human lives. What if medical workers could apply algorithms to reduce the time spent on diagnosis and instead spend this time on treatment? Medal is one well-known provider of algorithms for the medical field that provides algorithms as a service. Medal boasts more than 40 thousand algorithms for doctors, paramedics, and medical administrators, along with iOS and Android apps that help medical workers make better medical decisions. Individual access to Medal, as well as their apps, is free. And if you run a company, hospital, or educational institute, you can get access to the full collection of Medal calculators, algorithms, and packages for an agreed rate (quotes are discussed with each client on an individual basis). Human Resource tools already use algorithms to sort employees and applicants by roles and identify the most suitable candidates for positions. But algorithms can also be used to allocate workloads inside organizations. In the future, when replacing employees with smart agents becomes a norm, algorithms may even choose the most suitable agent. PredictiveHire is a service that suggests what specialists you should hire based on the data you provide. 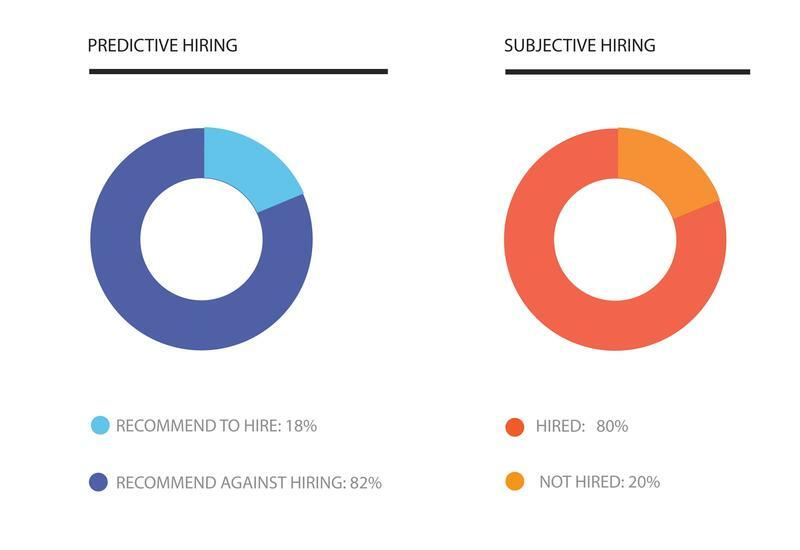 Backed by a team of data scientists, mathematicians, and recruitment experts, PredictiveHire claims they can change your hiring experience through their algorithmic approach. Retailers have long been using algorithms – for example, to show customers relevant products through filters and ‘recently viewed’ features. But with the rise of the algorithmic business, retailers will also be able also to automate pricing, product management, and merchandising. Celect helps retailers improve their product offerings and predict customers’ choices based on their behavior by using algorithms and machine learning. You can try out Celect by requesting a demo. 1. By 2018, 20 percent of all content will be written by machines instead of copywriters. 2. By 2020, 5 percent of all economic transactions will be performed by robots using algorithms. This creates a need to develop algorithms that can detect robot thieves. 3. By 2018, more than 3 million workers will be led by robots, and algorithms will determine what needs to be done. 4. By 2018, 50 percent of the fastest growing companies will replace human workers with algorithms. 5. 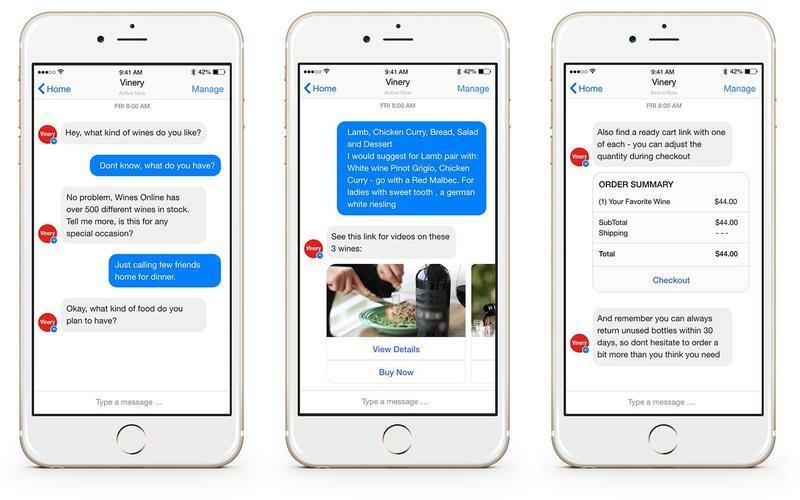 By 2018, digital assistants will be able to recognize customers by face and voice. 6. By 2018, 2 million employees will be made to wear tracking devices to enable managers to track their actions. 7. By 2020, smart agents will perform 40 percent of mobile transactions. These predictions open a wide field of discussion for those who claim that robots will soon take over the world. But don’t be scared – we still have a long way to go before this can happen. These predictions suggest that algorithms can make our lives easier. On the one hand, the rise of algorithmic business promises a bright future. But there are still some challenges we need to overcome. Currently, not all algorithms are able to understand contexts. Therefore, developers should take care to teach their algorithms to understand extra conditions. This is the biggest challenge in the development of algorithmic businesses. The algorithm economy will likely replace more human workers with robots. Of course, this is good news for businesses, because they can focus their resources in other directions. But this creates a moral dilemma as we elevate machines over human beings. Algorithms are available not only to benevolent businesses and organizations. They can be used by criminals and terrorists. Making algorithms do good, not evil, is a massive task for both developers and authorities. We need to work together to solve this problem. Here, at Yalantis we’re looking forward to more advanced algorithms to use in our projects. And, we’ll definitely share all the recent improvements in the algorithm economy.